The Genus Aphyosemion African Tooth Carp which is not only a hot favorite among fish breeders but also the prettiest one to be found in the market is one species which can be bred in communities. This species has a short lifespan and it is advisable to keep them in separate tanks. The fish will start contracting their fins and hide in the aquarium corners. The aggressive males of this species fight amongst themselves and therefore have a male put with only other females. For those fish lovers who want to breed these carps in a tank would do well to have them bred under shade and among plants which float. Fill the tank bottom with overcooked peat and fill with water which is slightly hard or acidic. For one gallon of water, add a teaspoon of salt(table salt mind you!) to make the water alkaline in which certain fish love to breed in. Some fish are short-lived to have them placed in aquariums separately. They can be categorized as which breed at the surface, mid-level and bottom. The eggs of the first spawn will attach themselves to the leaves of the floating plants. For the second spawn provide fine leaf plants for the eggs to stick to. The third should be allowed to stick to the peat at the bottom of the aquarium. Bottom and surface spawners love to live in glass tanks. Since carps eat their own eggs, have them removed to another tank. Maintain the temperature at 25 degrees Fahrenheit. If the peat dries up the eggs won't survive so maintain the temperature at 65 degrees. Keep shaking the peat while refreshing with soft water and have the temperature kept at 75 degrees Fahrenheit. Fish that breed at the bottom love to move around floating plants and can be bred in smaller tanks. After the female carps have delivered have them separated and clear the water. Carefully remove the water using a small tube to keep the eggs and peat safe. Keep the temperature at a constant of 70 degrees Fahrenheit for the required period. Finally, have the peat broken up but maintain the temperature at 65 degrees Fahrenheit. While you transfer the eggs keep adjusting the temp. to 60 degrees Fahrenheit. This species is for people with lots of experience at fish breeding so it is advisable that first-timers avoid this species. There are other simpler carps like the Brachydanio Rerio or Zebra Danio found in the eastern waters of India, which first-timers can have in their aquariums. This variety which is small can grow up to a length of 1 3/4 inches and comes not only in attractive colors like silver, gold, blue and black but it also has a cylindrical body shape. 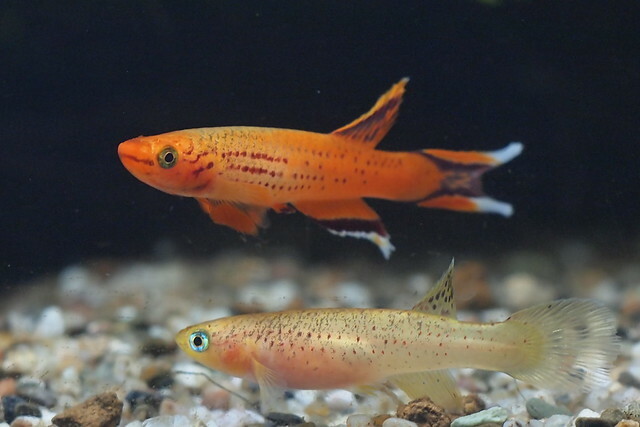 The Reiro species are the best type for people new to keeping fish as these are undemanding as the eat everything provided and can adjust to all types of water conditions.